Laurel Dental Practice opened in October 2008. We offer a complete range of general and speciality dental care for adults aswell as children. 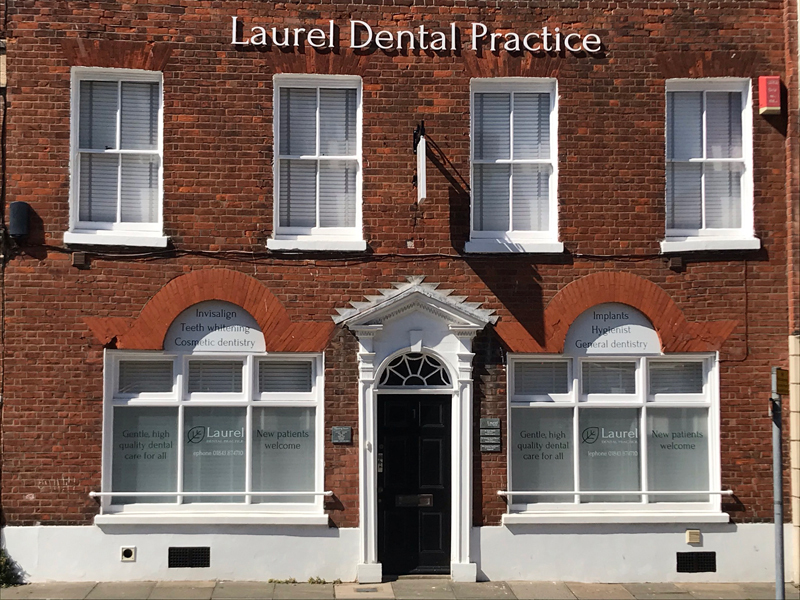 The practice is conveniently located in Cecil Square, Margate with metered parking outside the building. Find our more information about our clear braces such as what they're made from and how you will look after. Look here to find out more information about fixed braces and what's involved during the procedure. Learn more information about bridges such as the procedure involved and what they're made from. If you have a damaged or crooked tooth then you can have a thin layer which is attached to the tooth. Laurel House can offer a highly effective teeth whitening system which works during the night whilst you're asleep.